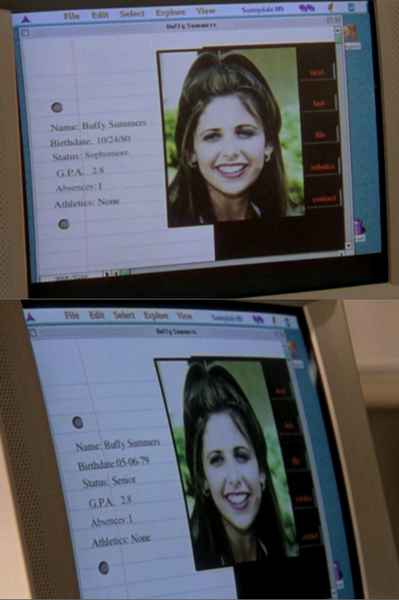 In the Season 4 episode “Doomed,” Buffy tells Riley — in a sarcastic way when he asks her, “What are you?” after seeing her in battle for the first time in the prior episode “Hush” — that she is a “Capricorn on the cusp of Aquarius.” Although there is a little uncertainty about Buffy’s birthday (see later), it has been deemed by Joss Whedon and “Buffy” fandom that the date is January 19, 1981. In other words, Buffy Summers is thirty-one years old today (and only four months younger than I, so I could always related to what the characters were going through in their lives). While we at BTVS online usually publish serious, philosophical essays on the themes of “Buffy the Vampire Slayer,” in honor of Buffy’s birthday, I wanted to explore something more whimsical: What does Buffy’s astrological birth-chart say about her — and do the events of the series fall in line with what it says? Of course, I neither endorse nor condemn astrology — this is only for the amusement of fans like myself. Happy Birthday, Buffy! Note: The website’s programmed analysis is in italics, and my thoughts after each section are in plain text. Obviously, I have no idea what the chart means, so I will copy the website’s automatically-generated analysis and then comment on each point on whether the show supports the character description. She is honest, reserved, circumspect, honorable and strong-willed. Quietly ambitious within the realms of the possible, she likes and takes on responsibility. She can work in the social domain. Is Buffy honest? The answer might be “no.” Sometimes she hides her actions and situations, like when Angel came back to earth in Season 3 and when she had come back from heaven in Season 7. Buffy hides information whenever, in her opinion, it helps her or it would avoid causing pain to her friends. Reserved? Before Buffy was called as the Slayer, she was a popular cheerleader (and she initially hoped to regain such esteem in Season 3, like when she and Cordelia fought to be homecoming queen). These are not characteristics of a “reserved” person. However, after she arrived in Sunnydale, she was largely relegated to the “dorky” cliches in high school. Still, she is indeed honorable. For example, she adheres to a moral code — she will not, for example, kill humans (like Ben in Season 5) or a chip-impaired Spike. Buffy is also strong-willed — note her threat to kill any Scoobie who tries to kill her sister Dawn in the finale of Season 5 — and her ambition and responsible behavior is exemplified in her constant acceptance of her duty whenever a threat arrives. Also, despite her somewhat seclusion in high school, she could still “work in the social domain” like in gathering the senior class together to fight the Mayor in the finale of Season 3. 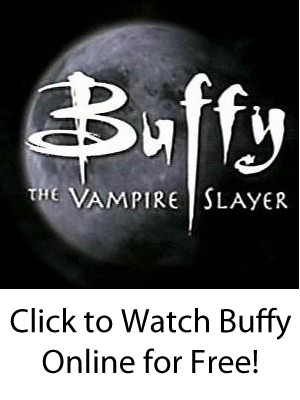 Is Buffy bitter? By the end of Season 7, she had definitely changed from a chipper, sarcastic teenager into a serious, dour young woman. Buffy is definitely “hostile,” as seen as when she rhetorically asks the Scoobies whether she always uses violence to solve problems (even worldly ones). Still, she is not usually disagreeable and mistrustful — she implicitly trusts her friends, rightly or wrongly, until she has no choice but to do otherwise. She is likeable and sociable. Very sensitive to environmental conditions and surroundings. She likes home, habits, comfort and her little world. Large families. Weaknesses: subject to family circle, indolence, inertia. She is impressionable and too sensitive. Family problems. Buffy, in terms of personality, is likeable and sociable. Although she was never very popular in high school in general, she usually interacted with her classmates in a positive way (perhaps because she was saving their lives). She is indeed sensitive to her environment; any criticisms of her friends and classmates would usually affect her mood. Buffy indeed likes comfortable things like home and habits, but it is her curse to never to be able to enjoy them fully. And it goes without saying that she had “family problems” with her estranged father, a mother who initially did not know her full identity, and then a mystical little-sister. However, Buffy does not like “intellectual discussions” — Willow was always the “brains” of the group — and she was not the most argumentative of the Scoobies. That, perhaps, was Xander. Loves are sincere. She is basically attracted to those with problems, which complicates life because she takes on those people’s problems. Her feelings are deep, stable, solid, definite. She is not very expansive and can be melancholic. Weaknesses: she has a tendency to hold back emotions, she is too reserved and is frightened of being disappointed in love. From Angel to Parker to Riley to Spike, Buffy is always attracted to dark men with “problems.” Angel was a tortured vampire, Parker (claimed) that he had emotional problems, Riley had a double life as a military commando, and Spike has his complicated past as well. Buffy definitely “takes on those peoples’ problems” because she has the “weight of the world” on her shoulders. As seen in the last two seasons of the show, she was very depressed and “melancholic.” And after her experience with Angel in Season 2, Buffy was skeptical of future relationships. A high liver with a sweet, attractive and sunny disposition. Likes justice, which she trusts. She knows how to forgive completely. Weaknesses: she can have problems, because she gets involved in doubtful situations through trusting too much. 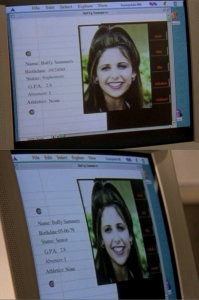 For most of the series (perhaps the first four seasons), Buffy usually had a “sunny disposition.” She also believes in justice, as demonstrated by the aforementioned refusal to kill Ben in Season 5. She also forgives all the time (Xander’s insults of Angel, Willow’s trying to destroy the world, and so on). Recognized for her seriousness, moral qualities. She is respectable, conscientious. Buffy was certainly “seriousness” and “respectable,” particularly in her role as a quasi-general in Season 7. However, a question remains as to whether she is “open to new ideas” — does she always do what she thinks is best, or does she take other ideas into account? This might be one that is completely off. Buffy, for all of her positive qualities, was never the most academic of the bunch. Still, she was “sensual,” as seen in the sexual scenes with her, Angel, Riley, and Spike. Buffy certainly brought changes to the nature and the duties of the slayer line. She is serious, patient, honest, hard-working, orderly. Her judgement is good and she thinks over things. She pursues her objectives to the bitter end, always knowing when to choose the right moment. She is upright and respects the law. This is entirely accurate — whenever Buffy develops a plan, it is almost always the right one (excepting the one time in Season 7 when she led the potentials to a massacre). She likes to discuss, likes polemic. She has good judgement and is determined. She is a worker and has lots of energy. She has a lively intelligence and goes to the heart of things. Buffy does always talk out her plans with her friends and usually has good judgment. She is above all independent and original. She likes change, reforms, she is allergic to everything routine. She has a strong personality, and has many friends. As we see in the Season 4 finale “Restless,” she is the (first?) slayer who was original and independent in behavior. She has a strong personality that is embedded in her persona, and she depends on her friends. She may have been the first slayer to have real friends. She has problems in love. She is jealous, her self-esteem is often quickly held up to ridicule. Of course, Buffy has never had a simple love-life. She also takes it to heart whenever someone, like Cordelia, ridicules her. This aspect sometimes means unhealthy sensuality. She is hard, and does not know how to express her emotions. She is frightened of showing her love, and this leads to disappointments, break-ups, lack of satisfaction. It is likely that she had problems with her mother, who did not know how to love her or give her self-confidence. She doubts, is suspicious and jealous. She will learn how to be happy in love, to be at ease with herself and to control her jealousy in the second half of her life, thanks to an older person, who gives her self-confidence back to her, so she can then trust others. Joyce Summers, Buffy’s mother, certainly did not know how to give her confidence since she did not know that her daughter was the Slayer for more than two years. 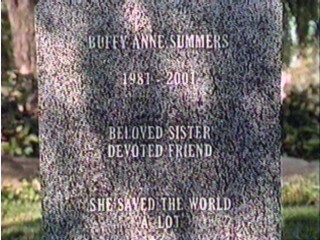 Buffy also had difficulties in finding love after her relationship with Angel. The jury is still out as to whether an “older person” (Angel, Spike?) will help her to become more self-confident so that she can become more trusting in relationships. She is nonchalant, pretentious, full of self-importance. She likes what is beautiful and sometimes ostentatious, and spends lots of money for the sake of appearances. She likes to please and has numerous amorous adventures. She is unfaithful and undergoes tribulations in love. Buffy does like “what is beautiful” and “spends lots of money for the sake of appearances” — after all, she usually wore designer, expensive clothes in the program. However, she did not have “numerous amorous adventures” — she is not the type to have, for example, many one-night stands (Parker, notwithstanding). She is intelligent, has big ideas: she is tolerant and has a strong sense of justice. She has good judgement, good sense and has her feet on the ground. She has the \”gift of the gab\”, and likes to speak, she also likes literature. She is erudite and will normally be successful socially. She is imaginative and has the Moon’s intuition complemented by Uranus’ independence and originality. Her life is out-of-the-ordinary, with lots of changes and a great knowledge of the world not through reading but through personal experience. She likes the sensational, new things. She acts instinctively, but fortunately has a good sixth sense. She likes to be surrounded by original people, artists. From organizing the students to battle the mayor in Season 3 to uniting the Scoobies spiritually to defeat Adam in Season 4 to changing the Slayer Line forever in Season 7, Buffy is certainly imaginative and original. (In Giles’ heartwarming words in Season 7, her idea was “bloody brilliant.”) Her out-of-the-ordinary life does change, and she uses her personal experiences and instincts in the fight against evil. Buffy also was surrounded by “original people” including a werewolf, a lesbian witch, and demon-turned-human, and a military commando. She is energetic and determined. She has strength and resistance, ability and patience: she is tough, and sometimes insensitive, and puts all her energy and talents into overcoming all the obstacles to her success. She is obstinate, calculating, does not take on anything without having thought of all the possible consequences, she can take all the time in the world and never loses patience to achieve her objectives. She is not particularly popular in her circle, but is feared and respected. All but the last sentence is “spot-on.” In almost every big battle, she is a tough, emotionless general who develops a thought-out plan and then tells everyone how it will play out. See her terse comment in the finale of Season 5 that she will kill anyone who tries to save the world by killing Dawn, and her role as almost a literal general in regards to the potentials in Season 7. But the last line is incorrect — she was (usually) very popular “in her circle (of Scoobies),” even though she was never very popular in high school. Still, she was always respected by everyone (if not often liked by people in general). This aspect means fights and setbacks. She is presumptuous. Again, this post is not meant to be a serious, astrological study; I am nothing even resembling an astrologer. 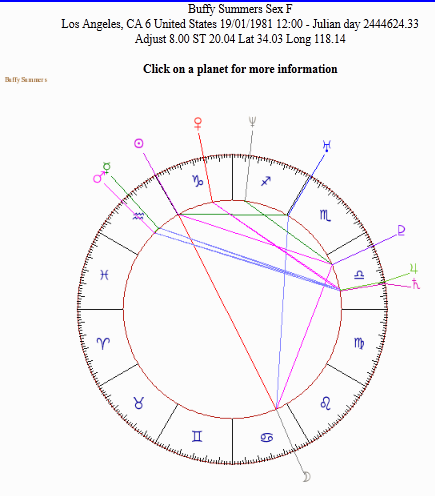 I thought it would just be fun, in honor of Buffy’s birthday today, to see what her birth-chart profile may say. If anyone who is an actual astrologer has any thoughts, please feel free to give your thoughts in the comments! If you look closely (or perhaps click), you will see that the two dates are October 24, 1980 and May 6, 1979. However, this detail has been disregarded (see IMDB and here, and Whedonesque).